The STEP class assists law enforcement in developing, implementing, and managing traffic safety programs. Participants will learn to apply STEP to traffic problems in their particular area of responsibility. The course is designed for law enforcement personnel, including but not limited to, field officers, first line supervisors, managers, administrators, grant managers, and law enforcement program coordinators. This training course will demonstrate how to manage a successful DWI Checkpoint. The class discusses all aspects of DWI Checkpoints including objectives, operational plans, legal issues, safety concerns, NMDOT guidelines, and a final practical exercise conducting an actual checkpoint. The course is designed for law enforcement personnel, including but not limited to, field officers, first line supervisors, managers, administrators, and law enforcement program coordinators. This course will arm the student with the necessary skills to conduct a thorough traffic crash investigation and properly document your findings for courtroom presentation. The student will learn the proper procedures for measuring, scale diagramming, and photographing in order to record physical evidence and essential facts available only at the crash scene. The student will learn the fundamentals of mathematics, physics and engineering as they pertain to crash investigations and the proper mathematical equations to apply for the type of crash being investigated. Finally, they will learn to analyze the information to determine what happened before, during, and after the collision. The Advanced Crash Investigations course will address the advanced concepts of traffic crash investigations, such as acceleration/deceleration rates and airborne situations. Students will learn to estimate speeds and calculate kinetic and linear momentum resulting from falls, vaults, and flips. Students will also learn to evaluate vehicle lamps, tires, and damage to help determine vehicle behaviors during collisions. The course will assist the student with further understanding of vehicle dynamics in a crash. The student will take part in more intense study of time/distance calculations, angular momentum, and impact speed calculations using momentum equations. This course includes extensive project work and controlled vehicle experiments to provide the student with first-hand experience in crash reconstruction. Each student will be required to diagram and analyze different crash scenarios, as well as complete vector sum analyses of each. This 3-day training course will assist law enforcement personnel in developing the skills necessary to successfully present Radar/LIDAR training programs to other members of law enforcement. This course is intended for those who have previously completed Instructor Development and Radar/LIDAR Operator courses. Students will gain a comprehensive understanding of the motivation, basic methods, principles, and operation of radar and laser technology used in speed enforcement. Course topics include detailed mathematic and scientific principles for successful use of radar and laser technology, information about moving and stationary radar, legal issues, and preparing for court testimony. 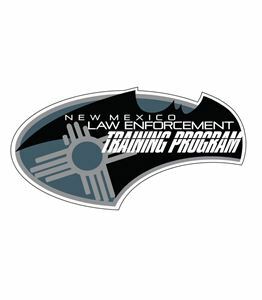 The course is designed for law enforcement personnel, including but not limited to, field officers, first-line supervisors, managers, administrators and law enforcement program coordinators. This course is accredited by the NMLEA. *Course Requirements: Attendees must have completed an Instructor Development course and a Radar/LIDAR Operator Course prior to registration. Students should bring a radar unit (in-car and/or hand-held), LIDAR unit, reflective vest, and note taking material. The Managing Police Traffic Services (MPTS) training will enhance skills for successful leadership, communication, supervision, and administrative responsibilities for all law enforcement agencies. The class offers an overview of enhanced enforcement campaigns (STEP, ENDWI, BKLUP, DNTXT), legal updates, reporting obligations, personnel oversight, and budgetary considerations. MPTS will identify current trends in traffic safety and offer guidance on improving workplace productivity and efficiency. The course is designed for law enforcement personnel currently in supervisory capacities. However, officers with potential supervisory responsibilities may also benefit from this training. The 1.5-day MPTS will be eligible for 10 CEUs.